1. 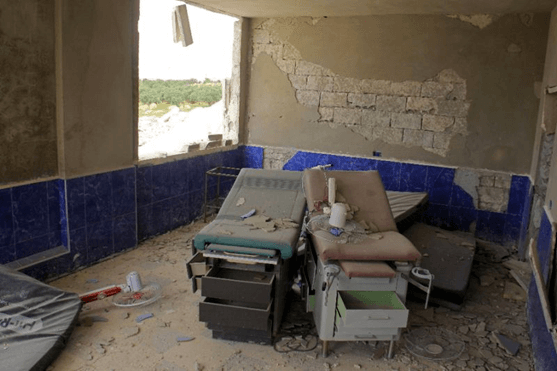 To rebuild hospitals that have been bombed. 2. New hospitals in places where people need it. 3. give training to doctors and health workers to gain more experience so that they can help people better. 4. Make it possible for everyone to go to hospitals and go to a doctor. 5. Provide training to ordinary people so that they learn more about care and even give the opportunity to become a health worker. 7. Use more ambulances and staff for emergencies. 8. Deliver acute care, primary health care and hospital treatments. 9. Open more pharmacies to offer people as many good medicines as possible. 10. Provide as many medicines and equipment as possible to hospitals so that they can help people with healing and operating. We have many more projects that we want to work on, but we found this one of the most important points where we want to work. Of course, people can also come up with new ideas and projects, which we like to listen to and of course also want to work on. If we think it is important and good for the people who need it. We want to build and rehabilitate primary health care centers to provide access, improve the availability of services, develop medical professional skills and increase the community's understanding of health and well-being. We establish health centers in small and rural areas to ensure that the population has weekly access to medical care. Each post is staffed with a doctor and 3 nurses to provide health consultations, vaccinations and referrals. 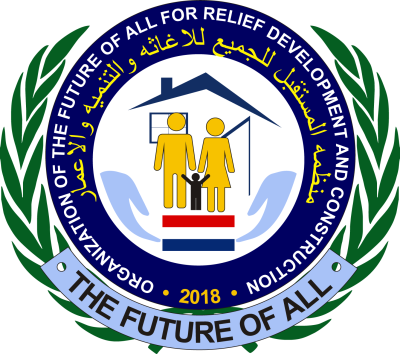 We want to organize regular education and vocational training for adults and children who have been displaced by conflicts, to ensure that a humanitarian crisis has as little influence as possible on their long-term future. All our health projects are aimed at pregnant women, mothers and children with check-ups, vaccinations and health education. We want to ensure that women and girls have access to a female doctor for sensitive conversations. We also want to give women access to reproductive help, advice and treatment, including where possible access to a female doctor, advice on family planning and private consultations about puberty. We want to train local women as health professionals in the community to give advice every month, public health education and basic care to thousands of families - serving patients and caregivers and strengthening women. THE FUTURE OF ALL also wants to encompass and equip complete medical laboratories in newly built or renovated health care facilities to provide immediate access to medical testing and diagnosis services for THE FUTURE OF ALL patients. We build and equip facilities and train pharmaceutical professionals to be part of the core department of the primary care center so that patients have access to the medicines they need. We offer regular development opportunities for professional skills for medical professionals in the public sector, government officials, healthcare managers and our own employees and volunteers. We also want to ensure that patients who move to other health facilities have access to secure emergency transmission. We also want our mobile health clinics as emergency ambulances in remote locations. We recognize the importance of learning for the integration of healthy behavior in daily life. By working together with the Ministries of Health and Education, we deliver health education at school and through our Women Health Volunteers. We ensure that patients with advanced conditions have access to a hospital or medical specialist. And when communities miss these services, we work with partners from the government to build, equip, maintain and maintain new facilities. We provide high-quality health services by maintaining high standards for data tracking and data collection in all our facilities. FUTURE OF ALL health data is also used to inform provincial disease surveillance and control. We recognize that effective project design requires high-quality data from the field, and we regularly conduct social, economic and health research to measure the needs of the community, to monitor and quantify the impact of all our activities. We want to collaborate with the local and national government, so that we can replenish the water supply systems, we also want to build sewage treatment plants, we will also lead entrepreneurs at a safe workplace and waste practices and promote health education.